Each wand in the Wow! 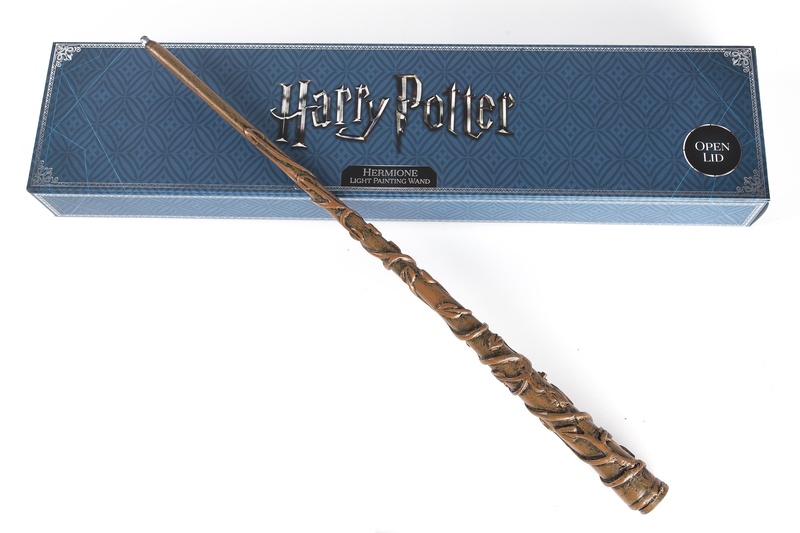 Stuff Light Painting Wand series is laser scanned from the original movie prop, cast in high grade resin and hand painted for a screen accurate finish with a weight and balance that is pleasing in the hands of wizards and witches of all ages. With its ultra bright LED tip, the wand is perfect for re-enacting iconic scenes and can be used to craft stunning works of digital art with the supplied light painting app.